Vánoční hudba v havajském stylu. 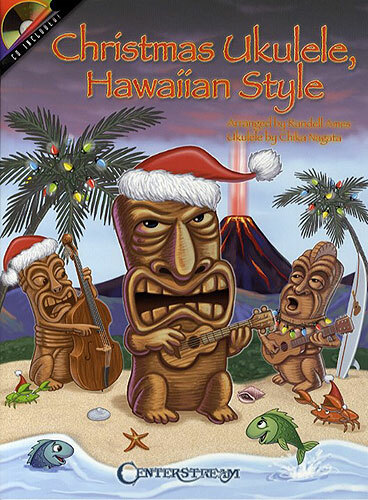 Play Christmas Ukulele, Hawaiian Style with ukulele expert Chika Nagata. Included on the CD are twelve songs, each played three times, the first and the third time with the melody, the second time with the melody left out for you to play or sing with just the rhythm. Songs include Mele Kalikimaka (Merry Christmas To You), We Wish You A Merry Christmas and Jingle Bells (with Hawaiian words), Silent Night, We Three Kings, and many more!